Anne Lumpkin is our new Youth Director. Stop in the Youth Room and Welcome her. Use the opportunity to introduce yourself to the youth. 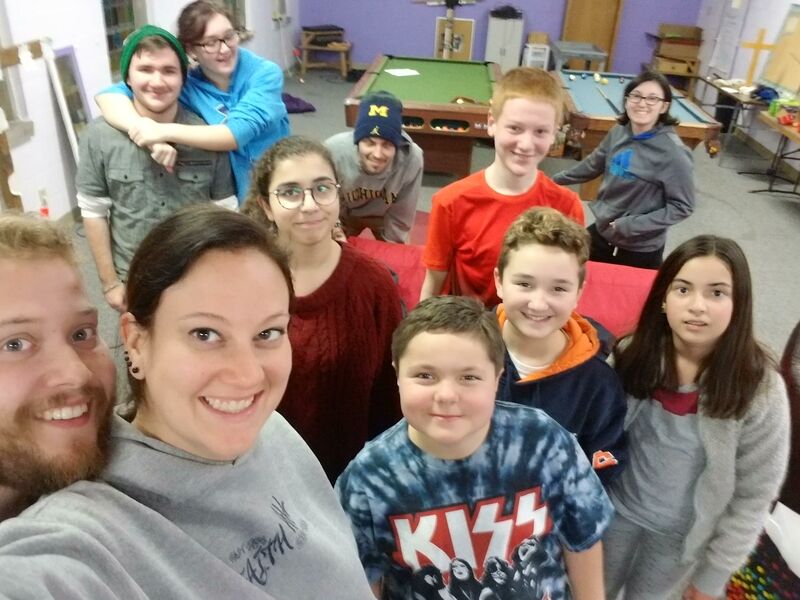 We have a youth group for young people grades seven through twelve. Our youth have Sunday School at 9:30 a.m. each Sunday where they pray together, fellowship, and study topics related to faith and the Bible that are relevant to youth. Youth are encouraged to be involved in our Sunday morning services following Sunday School. The youth also have regular lock-ins and other group outings to have fun and grow together in their faith. Confirmation classes are offered periodically as well. They serve breakfast for the homeless and needy each month at St. Paul’s United Methodist Church. They help plan, prepare for, and carry out our Easter Egg Hunt each Spring. Every other year they travel to Henderson Settlement in Kentucky for a mission trip. While there, they often complete home repairs, work projects, and serve the community in other ways.